The Spokesman-Review's Northwest Passages Book Club welcomes best-selling author Tara Westover on Thursday, May 17. Westover will be in conversation with Senior Editor Donna Wares about her memoir,"Educated," which chronicles life growing up off the grid in Idaho. 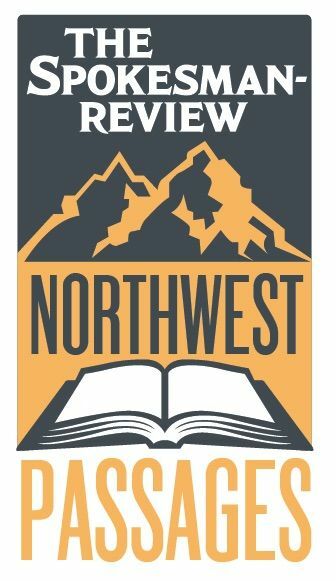 "Educated" sits on the Pacific Northwest Independent Bestseller List of nonfiction books. It's also on the best-seller lists of The New York Times, Wall Street Journal and San Francisco Chronicle, among others. UPDATE: Due to ticket demand, the event has been moved to a larger venue -- just across the street at The Bing Crosby Theater. Note: Online ticket sales ended at 1 p.m. Thursday. After that, you can purchase tickets at the door for $5 cash or check. When: Thursday, May 17 from 7 p.m. to 9 p.m.
Tickets: General Admission tickets cost $5. Seating is on a first-come, first-served basis. The book talk starts at 7 p.m. Doors open at the Bing at 6 p.m.
VIP Ticket Package: Your $40 VIP ticket includes a reserved seat, a copy of "Educated" by Tara Westover and a glass of wine. Doors open for the VIP reception at 5:30 p.m. at the Terra Blanca Wine Bar, adjacent to The Spokesman-Review Building, at 999 West Riverside Ave. Note: The VIP event remains in its usual location. Guests: your books and VIP packages will be waiting for you at the wine bar. VIP guests will walk over to the Bing to reserved seats after the reception. Social: Like the Northwest Passages Book Club's Facebook page and keep up with upcoming events. On Twitter: Use the #SRBooks hashtag.